Like most healers that are called to this profession, I have had my share of painful losses and challenges. Having someone with whom I could build a trusting and safe therapeutic relationship, gave me the guidance and empowerment I needed for my personal healing and transformation. I learned firsthand just how healing and life changing the process of counseling is. I am passionate about working with others who are trying to make meaning of their own emotions and experiences. I received my degree in Psychology and Art Therapy from Antioch University. I am a licensed mental health counselor with the state of Washington. I regularly attend professional trainings and I meet with other professional therapists in weekly consult groups to deepen my knowledge and enhance my therapeutic skills. 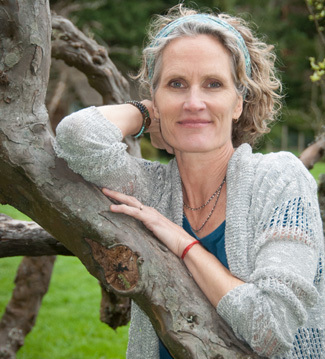 My clinical work has been in community mental health, co-facilitating groups for children, adolescents and adults, and working as the school liaison of Vashon Youth and Family Services and the Vashon schools.